China's Changing Import Regulations – What Does It All Mean? A new normal has descended on the world of recycling. China’s latest bans, restrictions and contamination regulations are making life difficult for stakeholders across the board. But it’s also proving hard for recyclers and municipalities to stay up to speed on this evolving situation, which is both complex and confusing. 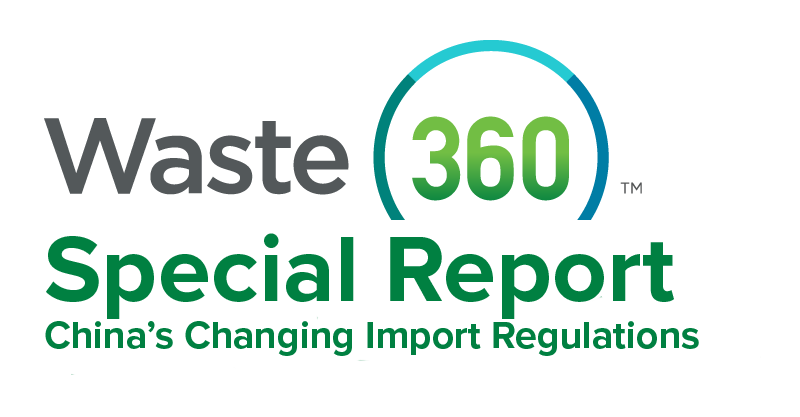 What caused this sudden change to China's waste import regulation? What exactly are “National Sword” and “Blue Sky 2018”? What is the magnitude of the impact on the U.S. recycling industry? What can municipalities and recyclers do? Download today for the information you need to meet these latest challenges head on.